I got into journalism because my high school counselor wouldn't let me take the class I wanted to. She told me to take the newspaper class. I told her I thought journalism was stupid and fluffy. Fast forward seven years and I'm now the digital producer for IPB News, a statewide reporting team for the NPR and PBS affiliates in Indiana. I have the best job in the whole wide world. In addition to the nebulous job title of digital producer, I'm a radio and television reporter for the network, stepping in to assist when resources are limited. And in September 2016, I become one of the first people to implement the Public Media Platform as a content sharing and aggregation tool on all of the websites in Indiana. I've worked with the project managers at NPR for Core Publisher and PMP to make this happen and help work out some of the quirks of that roll-out. I am a baseball fanatic. I've been to the Cooperstown Hall of Fame four times and watched live games in 17 major league ballparks. I like silly animals and animal GIFs. I'm a political junkie who never wants to run for office, but is confident I'd do a great job. I'm a giant nerd who went to Star Trek conventions as a child and was raised on Batman comic books as bedtime stories. 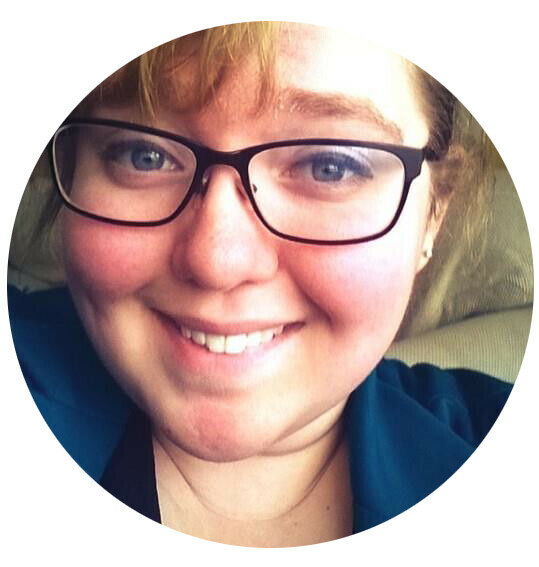 Since 2014, I've worked in six different CMSs and gained valuable experience in web design with some development skills to back that up. In addition to these examples, I have a working knowledge of Google Analytics and Chartbeat. This is one of my favorite things I've ever made, and it required a ton of math. One of the education reporters I work with said, hey, how hard would it be to make a calculator? In six hours, I told her the answer: not the worst. I don't know if it's just me, but there's something kind of great about running around your apartment with a TASCAM in one hand and a vacuum cleaner in the other. In Indiana, traveling north toward Chicago, you run into this extraordinarily large wind farm, blanketing the entire view. But I had no idea they were noisy. Thankfully, the energy and environment reporter I work with is pretty much game for what ever weird web thing I want to do. This is a result of that. I interned at the Sacramento Bee from May-July 2014. As a pat of that internship, I had the pleasure of working with the data journalist on staff. The Bee used an online database program called Caspio. I was able to work with journalists as a reporter and designer and worked on the appearance and usability of databases. The California State Fair hosts food competitions each year. I worked on the beer, wine and cheese databases. Why have one database when you can have two? While the Sacramento Bee database was built with a program called Caspio, I wanted to learn how to build my own database. Using Google's API, I build this sortable database of locations to get free food during the summer for low-income families. The program coordinator reached out the health reporter I was working with and helped distribute this database to libraries in the summer. As a digital producer/web guru, I didn't imagine I would get to work as a reporter all that often. In Saginaw, I did behind-the-scenes reporting, pouring over documents and handing off information to reporters and anchors as information was released during the Flint water crisis. In Indianapolis, I've ended up being the general assignment reporter on a number of occasions, including protests, campaign announcements, and following around Sen. Joe Donnelly at every opportunity. I ended up being the only person available to cover this protest, and so my first professional audio story was born. 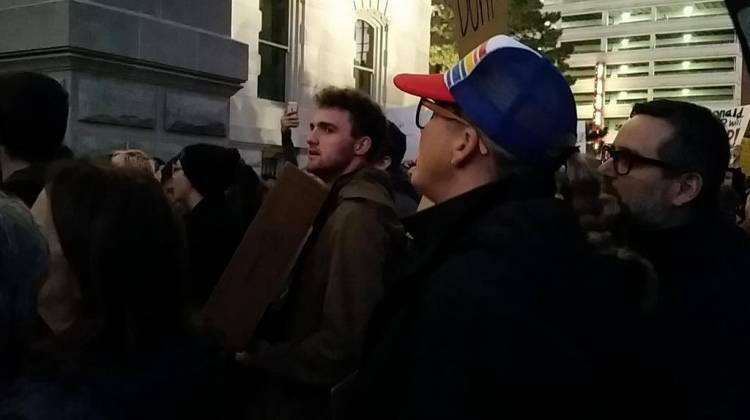 Saturday marked the fourth day of anti-Trump protests nationwide, including one in Indianapolis. After the protest, two IMPD officers were hit with rocks but uninjured. Seven people were arrested, but the protest was otherwise peaceful. I wanted to do a little bit of newswriting in addition to the digital work that I was doing in Sacramento. This story came out of a press release from a community newsletter. After tracing these businesses in Davis, I ended up with a great story about a guy who wanted to ride his bike. John Swann used to commute regularly by bike from Davis to his job in Sacramento, but he'd often get a ride home. I got to write this story because of the relationships I established with social rights groups on Ball State's campus. Covering campus protests became my unofficial beat. I received a tip that the people involved in this story would be willing to talk to me. There aren't any photos with the story because the images we could have used would only have promoted one side of the story or the other. I got to approach a very sensitive story with maturity I wouldn't have had a few years ago. At 10:55 a.m. March 16, students received an email from the university announcing senior journalism and telecommunications major Chloe Anagnos as the winner of the John R. Emens Outstanding Senior Award. In fewer than two hours, senior architecture major Huy Pham posted a screenshot of that email next to a 2013 Ball State Daily News article in which Anagnos defended owning a Confederate flag. Anagnos has since thrown out the flag, but her selection triggered a social media outcry that parallels a long national debate about race. I thought video was terrifying. I have shakey hands and didn't want to try doing video. Shortly after I discovered tripods and monopods, my fear of video storytelling disappeared. Video adds such an important element to stories. It can be emotionally powerful and educational. I've incorporated feature and news video in the examples below. In addition to these examples, I've also done a lot of work with Facebook Live, and more importantly, training others to become more comfortable with the tool. This is an example of my editing skills. I work with radio reporters who are trained to shoot video. But some of them haven't quite gotten the hang of video editing. That's where I came in on this story, where seeing recovering addicts working with horses would be so illustrative for the listener. The food beat reporter wanted to do a feature on the local chefs in Sacramento. So, he came to me and the features editor with the crazy idea of putting this video together. My editor thought it was quirky enough to be popular and gave her blessing. Bonus: I learned how to motion track in Final Cut 10 for the last chef's interview. This video was the moment I realized that I had the best internship humanly possible. The Sacramento Bee does a fireworks test every year, and this year they wanted a little more dynamic video. One of the shots has served as my cell phone lock screen since the end of July. It was fun to put together. It's not exactly hard-hitting news video, but it served a purpose for the readers of The Bee. My first "real" job in journalism was in April 2011, when I was hired as a senior in high school to work for Hoosier Basketball Magazine a small, but substantial annual publication covering baketball from high school to professional in Indiana. I worked as an advertising designer and front cover designer. What I lacked in creative freedom, I made up for in practical experience. I fell in love with designing and received a handful of awards for my work in student media. I've broken this section into two parts: illustration and graphics, and online design. My managing editor saw some of my illustration work for an interactive map I built, and got this idea that she wanted to do whiteboard explainers. For a solid month, I tested out programs until I settled on Video Scribe. This was the second whiteboard explainer I did with the energy and environment reporter – who happened to be from New Orleans. In additional to YouTube views, this video has been natively uploaded to station Facebook pages to take advantage of Facebook's algorithm preference for video. 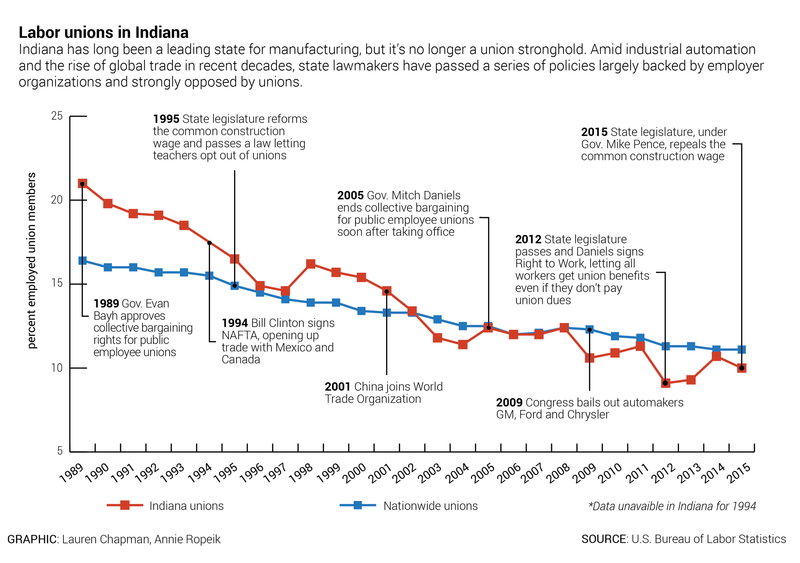 Indiana is a Right to Work state. So, when our business reporter talks about union influence in the manufacturing towns outside of the cities, she needs a lot of context to go along with it. I was originally concerned about how this would turn out, and did a fair share of the research behind it to make it a reality. In the end, it's a compelling narrative contained in a neat place. After covering Flint's water criss at its height, I didn't imagine I would be using all of that research again so soon. 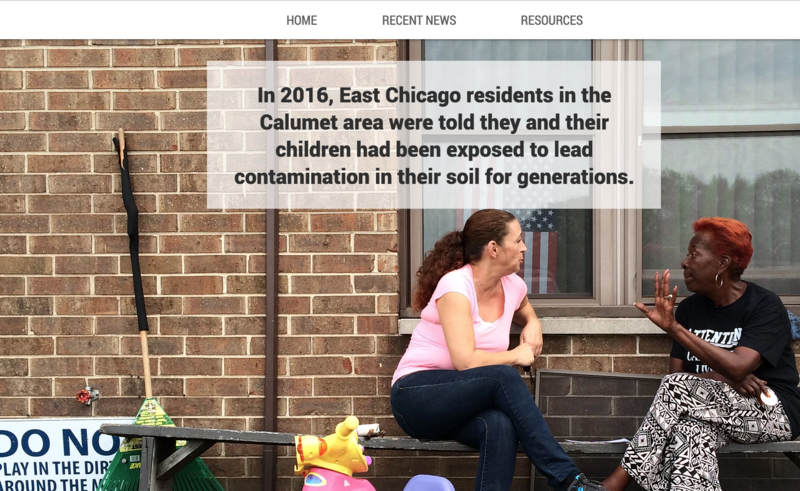 Less than six months after starting this job, I was reporting once again on lead contamination in a poor, predominantly black community. The statewide reporting group I work with was able to cover, and continues to cover, this environmental crisis. But East Chicago, Indiana's news outlets are either Chicago news or a local newspaper behind a nine article paywall. That is what spurred us to build this website. It's a one-stop for all the information and data we've gathered, as well as frequently asked questions and our reporting. Unified Media at Ball State University took on its biggest collaborative project in the form of the new university president's "State of the University" address. All five student media organizations contributed content to the feature page I designed as a preview to the speech.